Help One Now is a catalytic tribe committed to caring for orphans & vulnerable children by empowering & resourcing high-capacity local leaders in order to transform communities & break the cycle of extreme poverty. We love our tribe, who is simply a group of people located throughout the world dedicated to ending extreme poverty, caring for orphans and vulnerable children, rescuing the trafficked, and seeing communities transformed by serving our local partners. They sponsors kids, throw garage sales parties, donate funds, take trips, and advocate on our behalf. Help One Now is committed to recusing and caring for orphans. When we rescue a child, we commit to raise that child (through our local leaders) until that child graduates college or attend a trade-school. 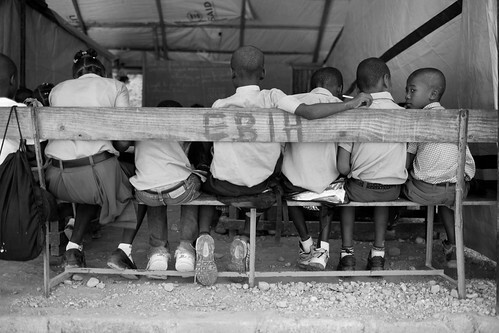 Vulnerable children often lack the most basic elements of life, like daily goods, education, and proper healthcare. But, they have something very beautiful; a family that loves them. We partner with the family to help send their kids to school and provide a daily meal. We consider this preventative orphan care, as many of these kids might become orphaned as their parents lack the resources to care for them. There are an estimated 27 million modern-day slaves. We hate that, and we will fight to see them free. 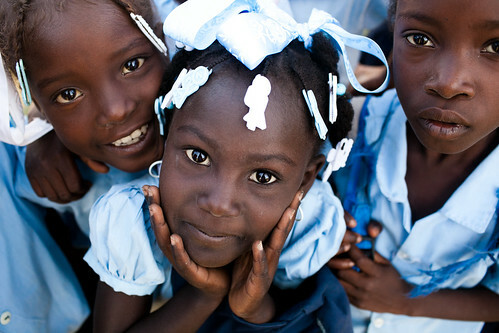 Our role is to help prevent the children and people of Haiti from becoming slaves. Traffickers target orphans and vulnerable children. We fight to rescue those orphans and ensure they are cared for, loved, and protected. We empower local leaders through friendship and partnership. We only work with local leaders who are already doing the work. They're not waiting for us; they have passion, compassion and desire to see their communities transformed. Through our various pathways, such as sponsorship and GS4O's, we also help resource these leaders, helping to create momentum and action. 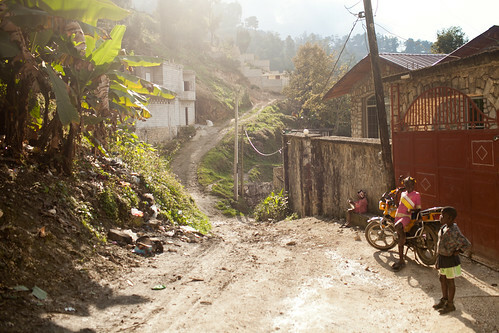 We serve in some of the poorest communities in the world. Unemployment is usually 50-70%, food can be scare, and clean water can be hard to access. We want to create opportunities for communities to see transformation that is sustained by the local communities. Building homes, providing clean water, seeing kids attend school, or giving a micro-loan that helps create jobs--all of these activities are focused on the same goal: to break the cycle of extreme poverty by providing dignity, hope, and opportunity for the locals to provide for themselves and their families! A house is a powerful thing, and this project will provide a home for one family in the villages outside of Jinja, Uganda. The Pure Charity team will be making a pilgrimage to Haiti to listen, learn and observe how the team can continue to develop technology and story-telling solutions to support nonprofits around the world.